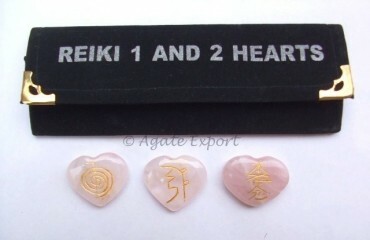 Agate Exports offers Rose Quartz Reiki 1 - 2 Hearts Set. Rose Quartz stimulates love. Rose quartz has a healing property.